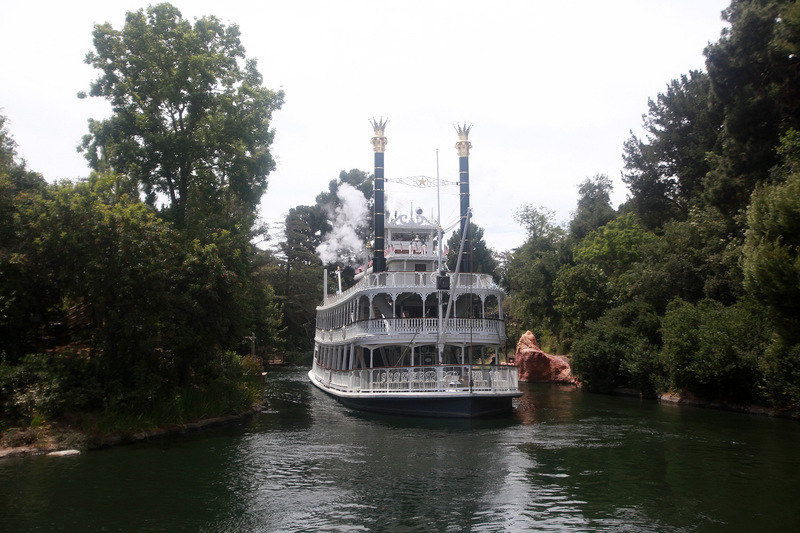 Disneyland is changing day-by-day and it’s not just major areas of construction that is getting attention. 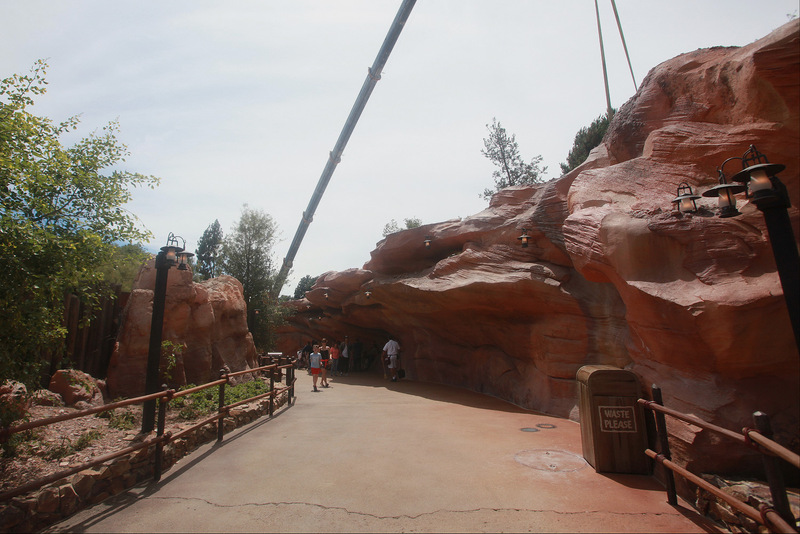 This year the Matterhorn Bobsleds and Toy Story Midway Mania received FastPass kiosks and the Autopia saw additional robotic friends along the track. 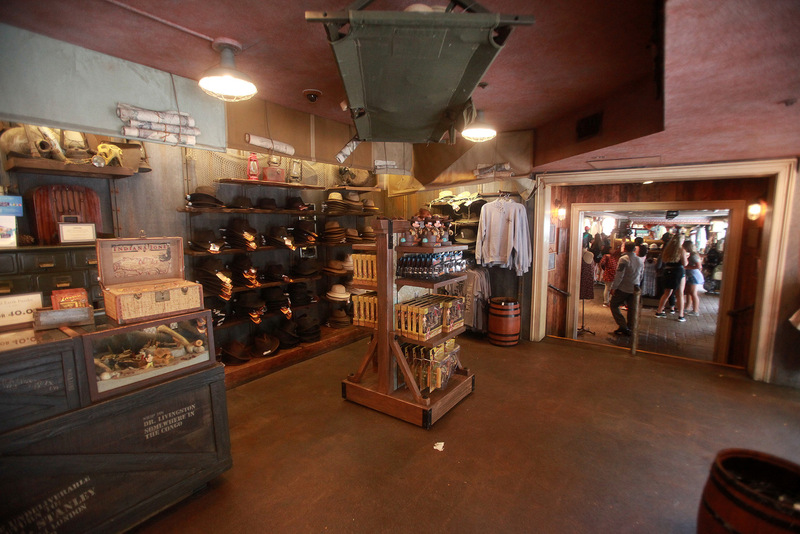 Just recently, we saw the opening of Guardians of the Galaxy – Mission: BREAKOUT! 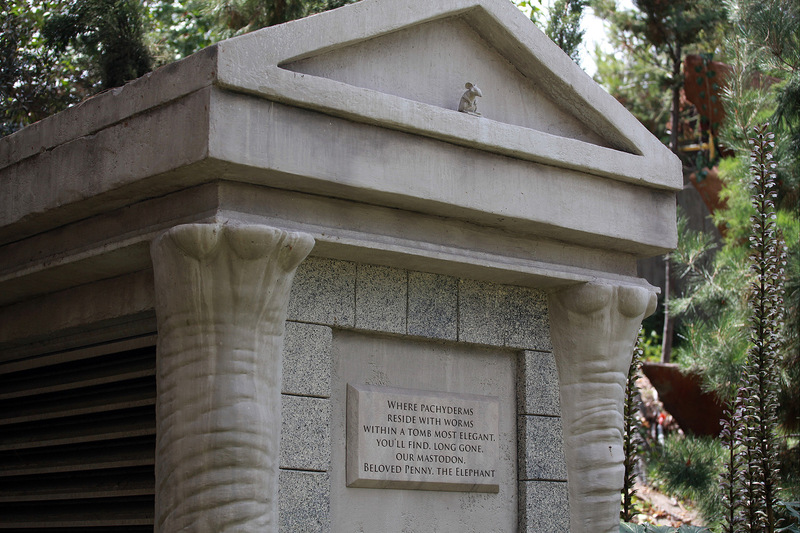 along with many new experiences with Summer of Heroes; and Hyperspace Mountain returned to its original Space Mountain format. 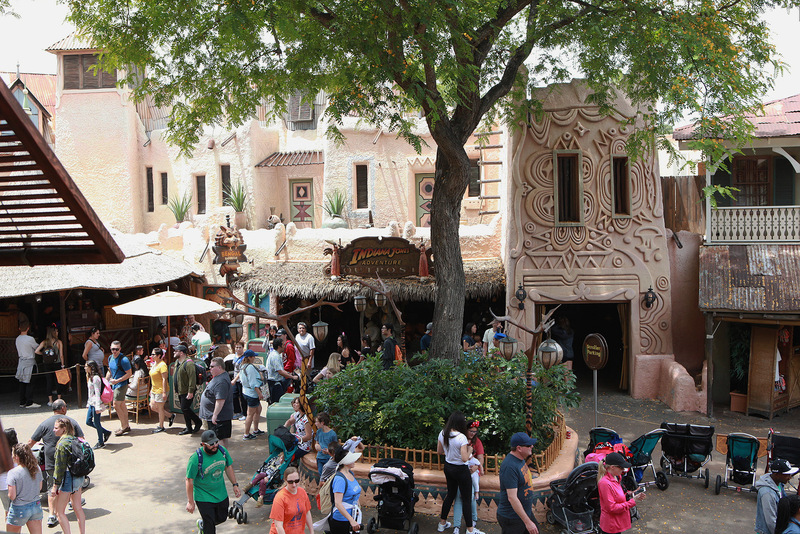 In today’s Disneyland Photo Update, we’re going to take a closer look at Adventureland, which will begin making a few cosmetic enhancements and changes to make the land more comfortable for guests, at the expense of our beloved Indiana Jones Adventure Outpost. 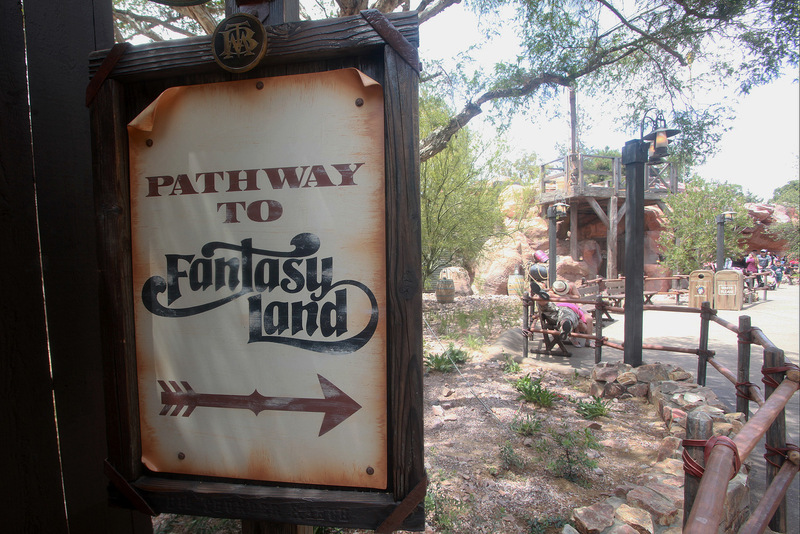 We’ll also take a look at the newly opened Big Thunder Trail that connects Frontierland to Fantasyland… and we’ll visit a Pet Cemetery. 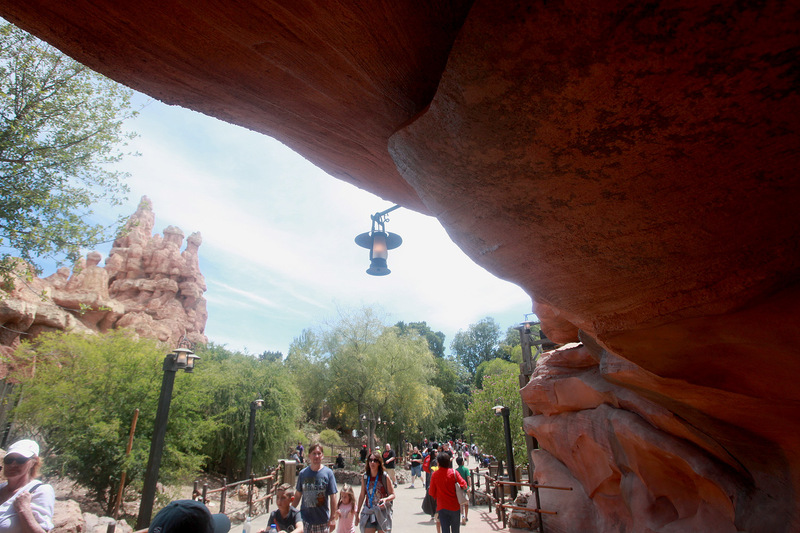 Anyone who’s gone to Disneyland on a busy day can tell you how difficult to navigate Adventureland is. 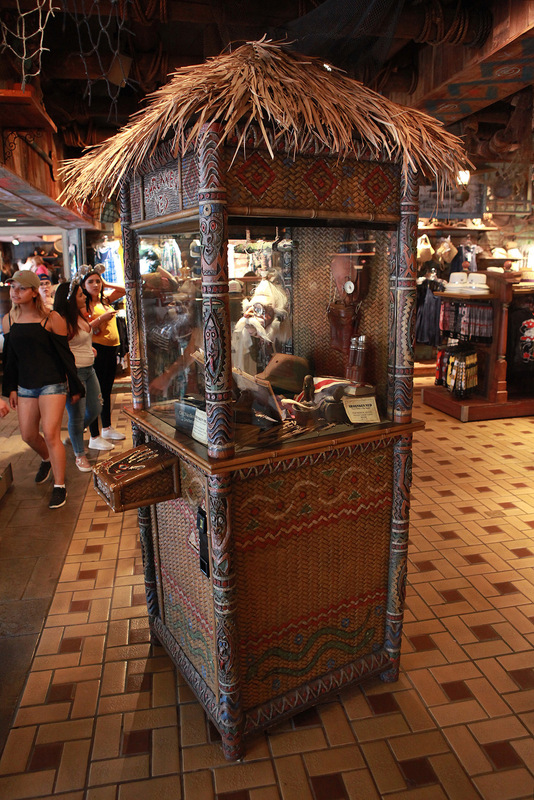 For such a small land that you could literally walk in and out of in less than a minute, it boasts to have a major thrill ride in Indiana Jones Adventure, two Disneyland classics in the Jungle Cruise and Walt Disney’s Enchanted Tiki Room, a Tarzan’s Treehouse, three shops, three quick dining or snack locations (Bengal Barbecue, Tropical Imports, Tiki Juice Bar), and one ex-restaurant (Aladdin’s Oasis) that is currently used as a package dining pick-up location. 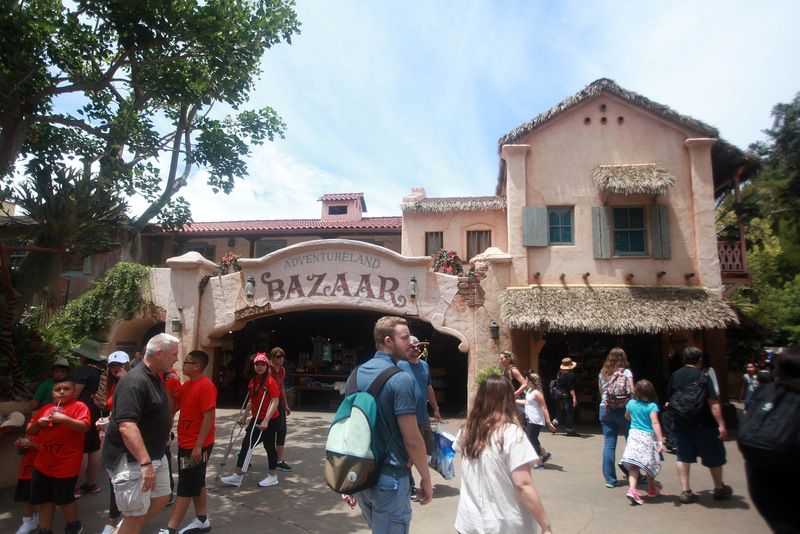 Adventureland puts many lands to shame to be quite honest, but because of its’ layout, it’s become pretty darn congested, with strollers lining up the center of the land and guests also just trying to get through to Main Street USA or New Orleans Square. 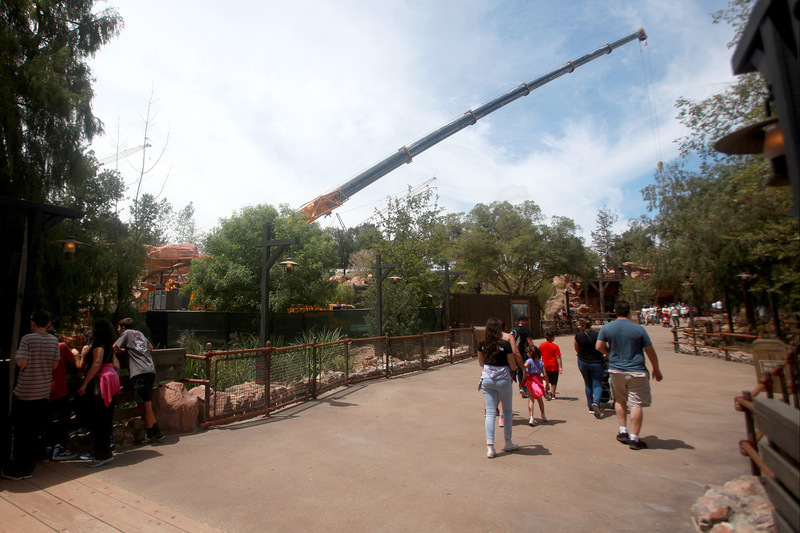 As reported on by Mark Eades of the Orange County Register, there’s a lot of juggling that’s going to happen beginning June 12. 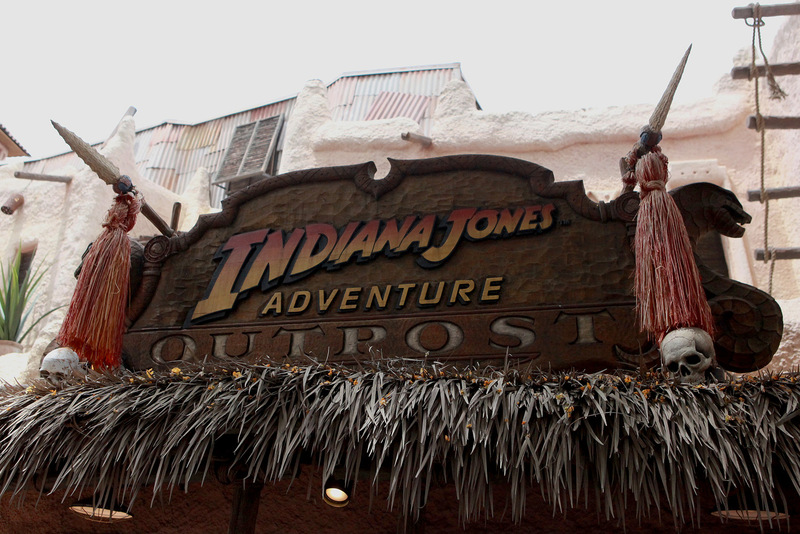 Going away are Indiana Jones Adventure Outpost and South Seas Traders. 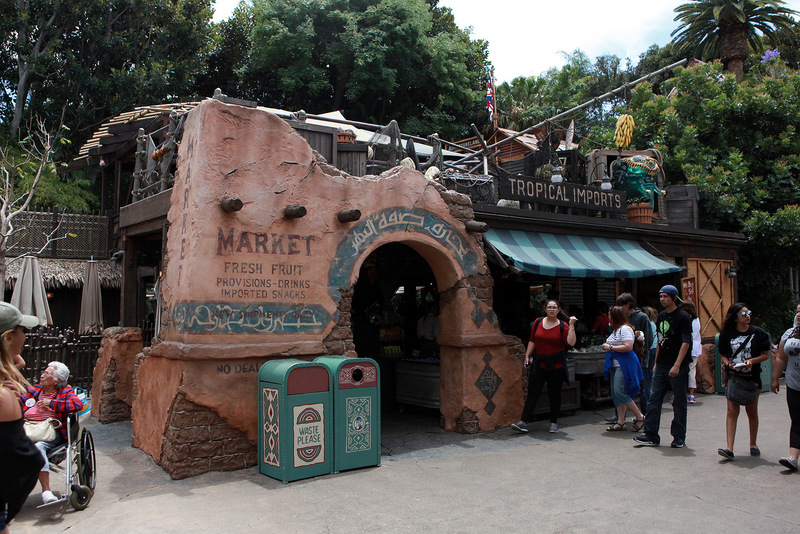 Tropical Imports will vacate its area next to the Jungle Cruise and become stroller parking. 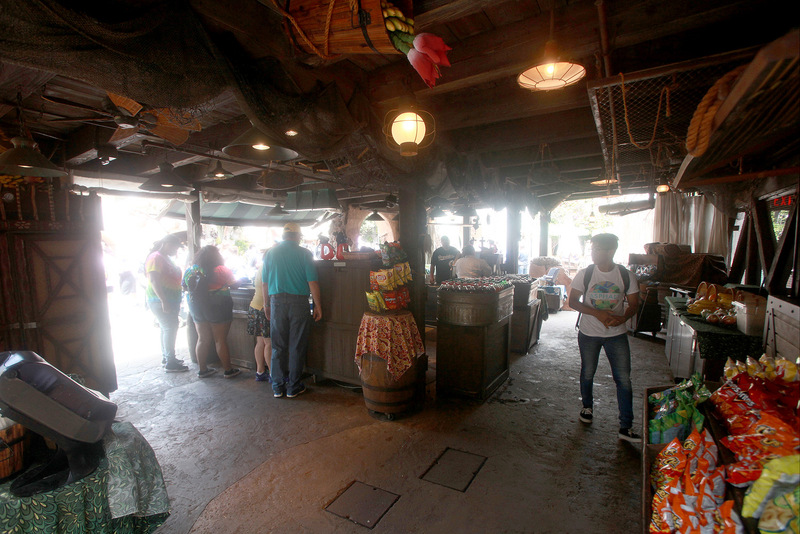 Tropical Imports will live-on adjacent to Bengal Barbecue while the rest of South Seas Traders will become indoor air-conditioned dining space. 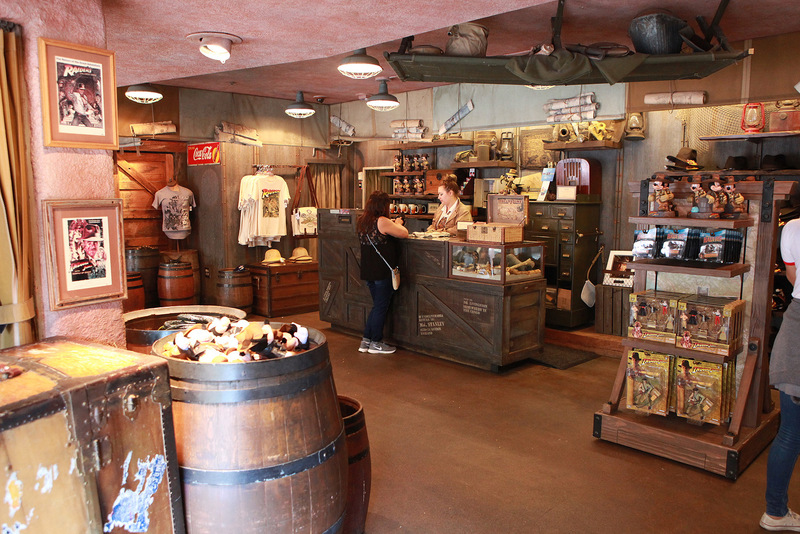 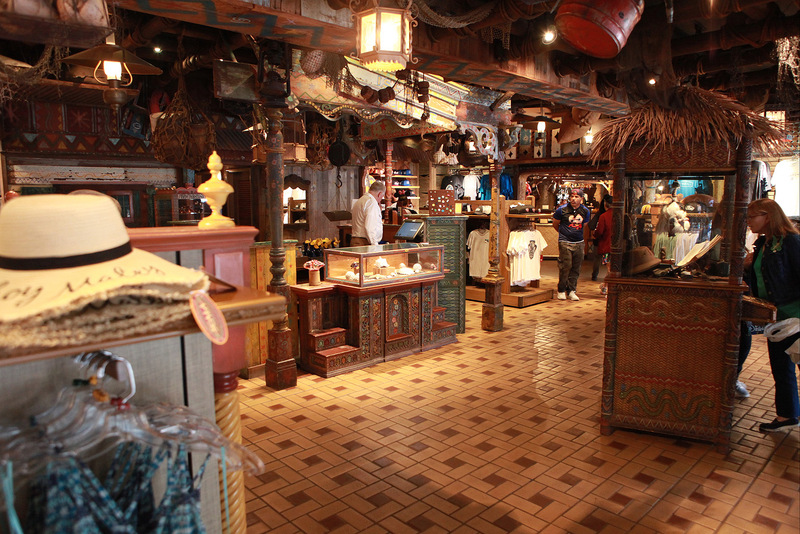 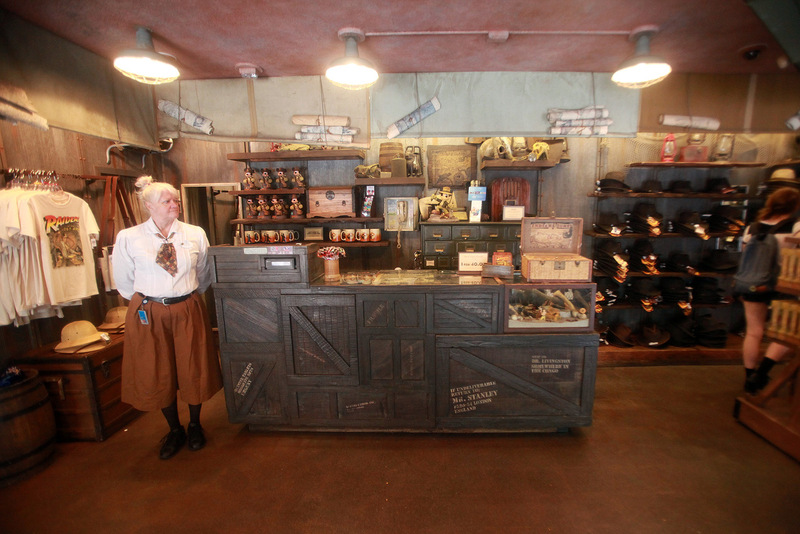 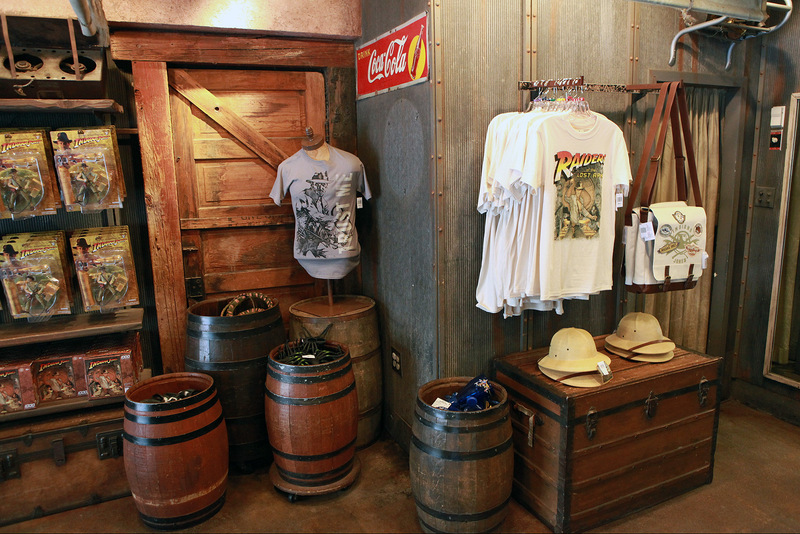 Indiana Jones merchandise will still be sold at main Adventureland Bazaar. 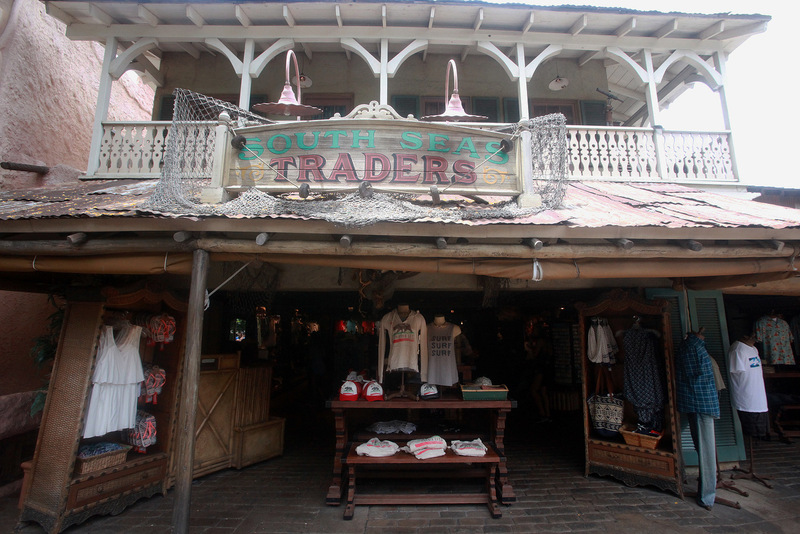 South Seas Traders – Hopefully Shrunken Ned will still find residence here in Adventureland. 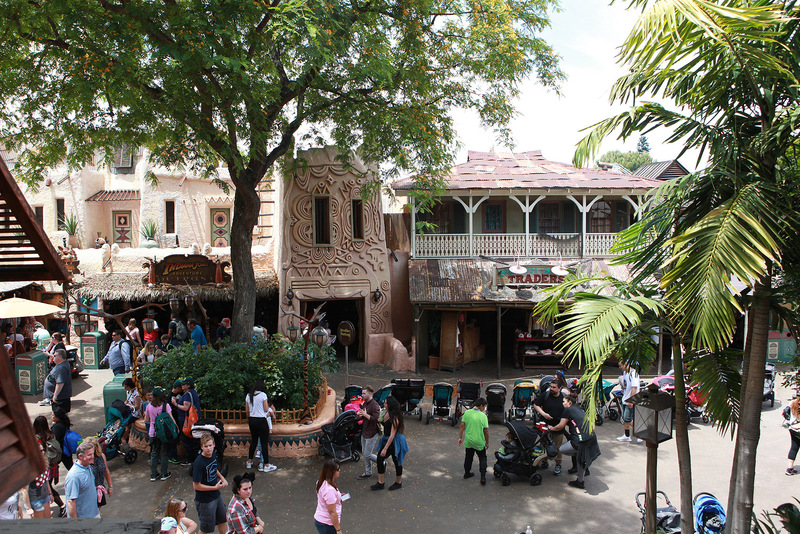 Some of the planters in the center of Adventureland may also go away. 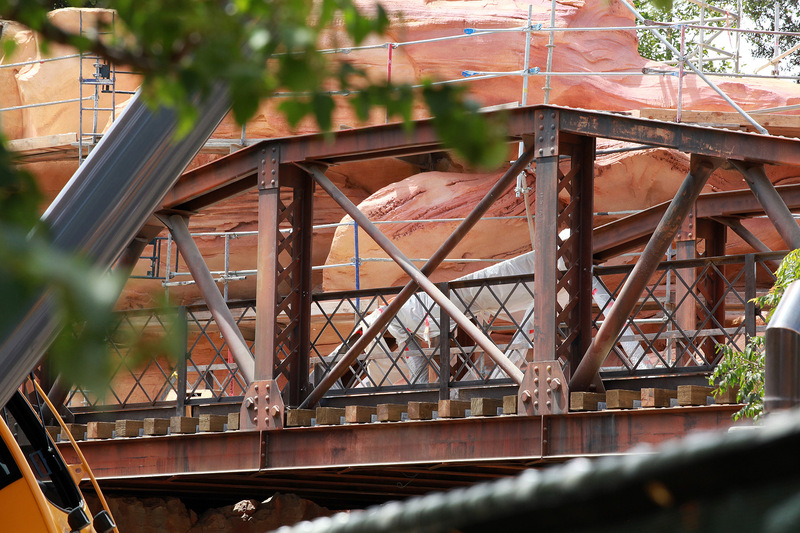 Mr. Crane continues to work on the trestle for the Disneyland Railroad. 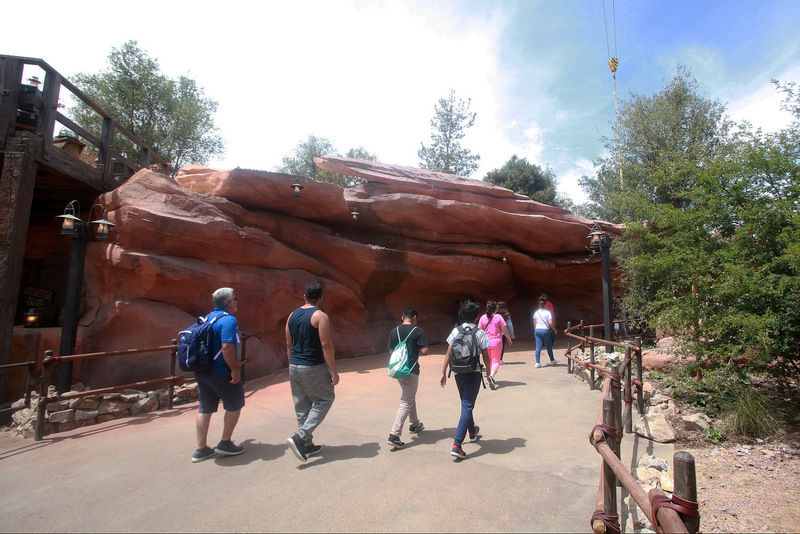 Is this going to be wide enough? 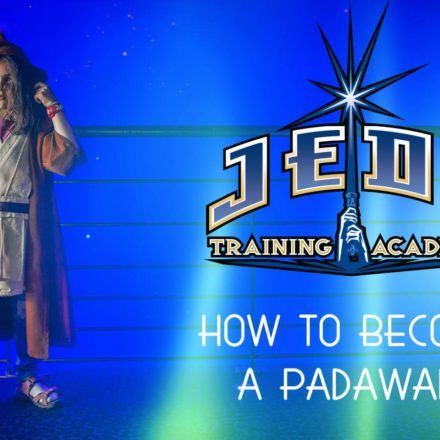 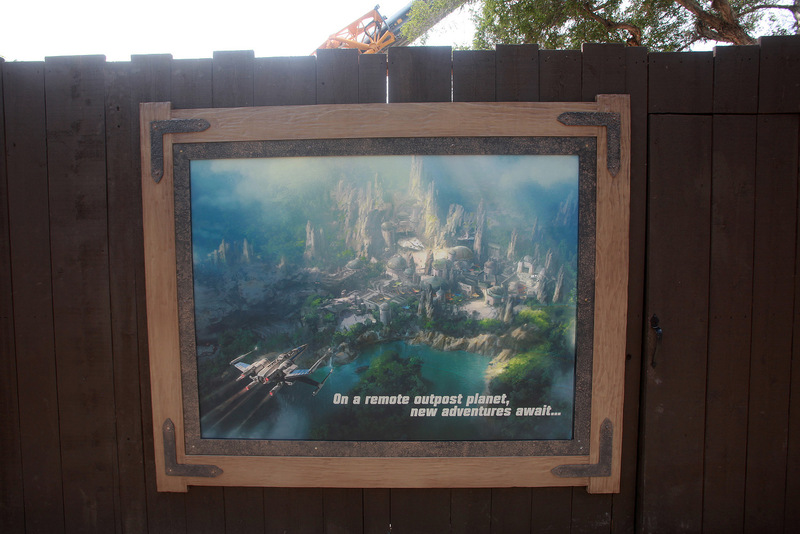 And now we present, one of the main entrances to the Star Wars Themed Land. 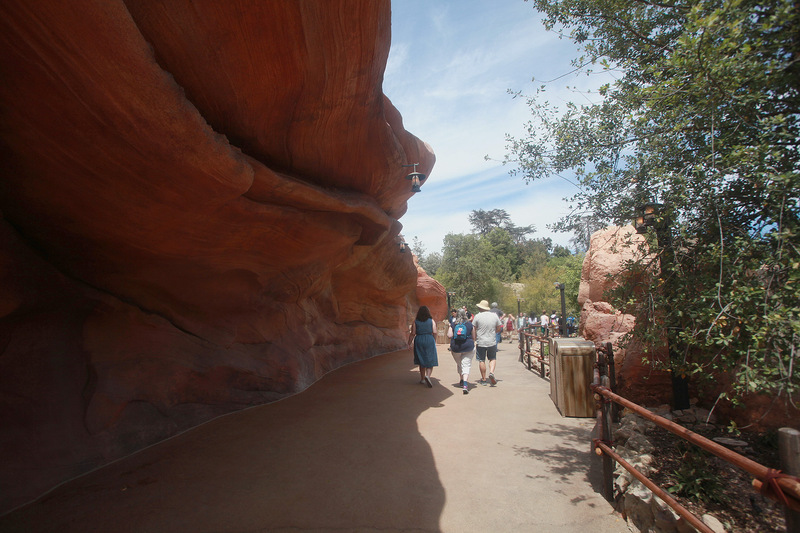 There will be three entrances actually, but this one is nearest to Fantasyland. 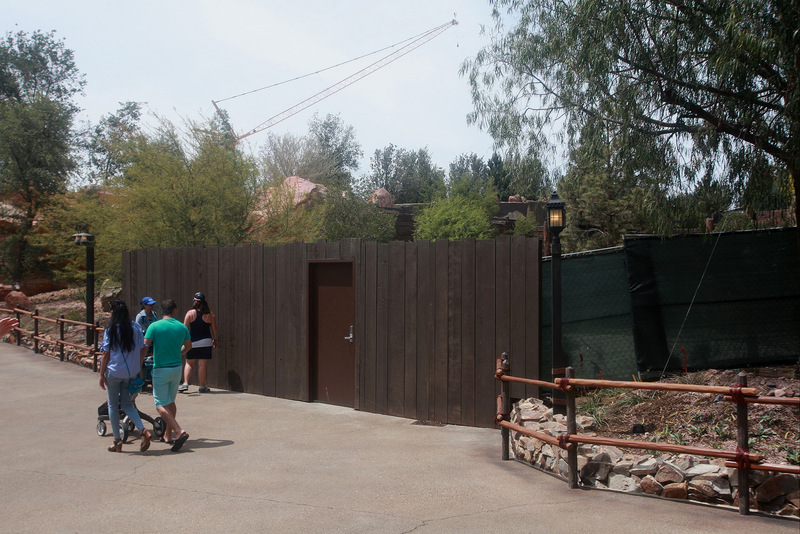 Meanwhile it’s great to see some activity in this side of the park again. 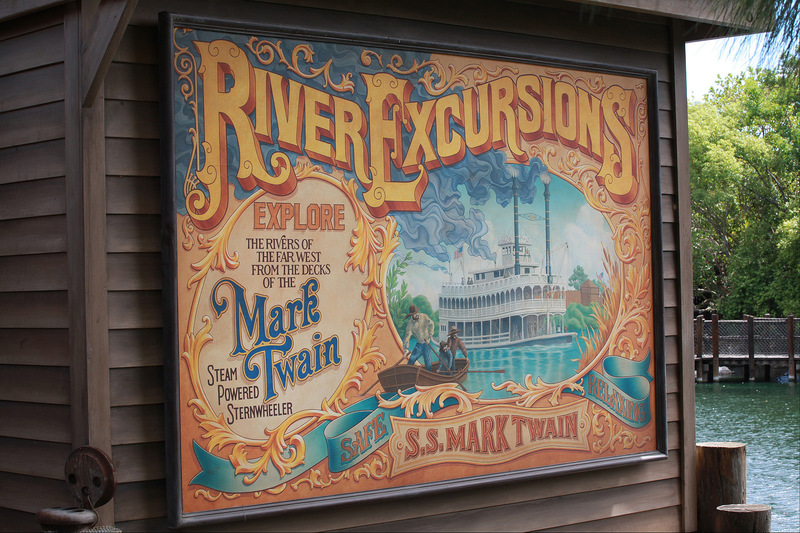 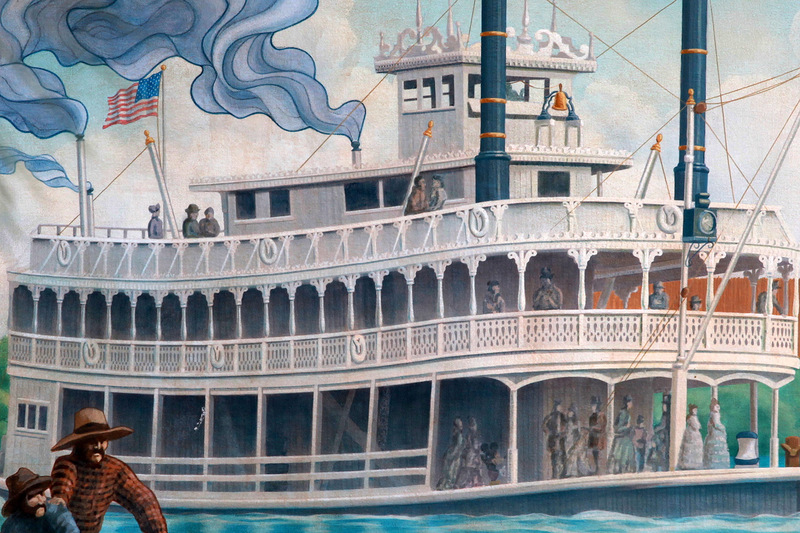 Big Thunder Mountain hasn’t missed a beat but Mark Twain and Columbia Sailing Ship are making practice runs around Tom Sawyer’s Island. 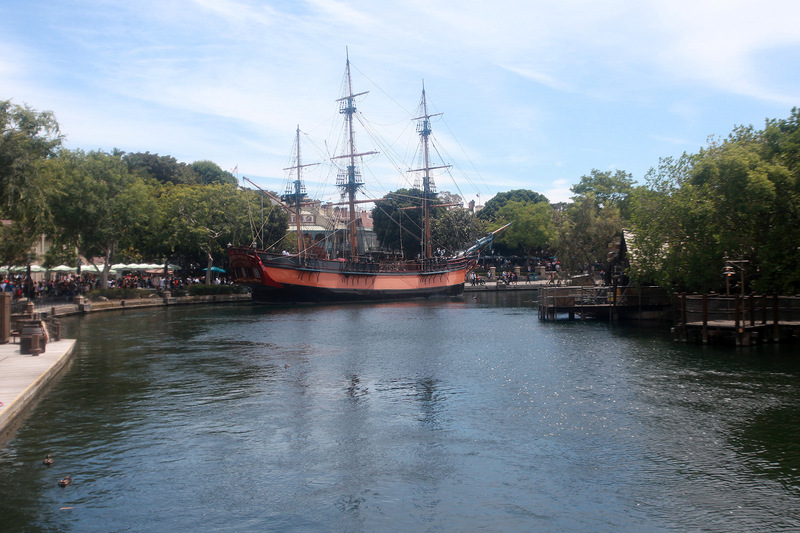 Tom Sawyer’s Island aka Pirate’s Lair, Fantasmic!, Disneyland Railroad and the big boats and canoes are slated to re-open mid-Summer. 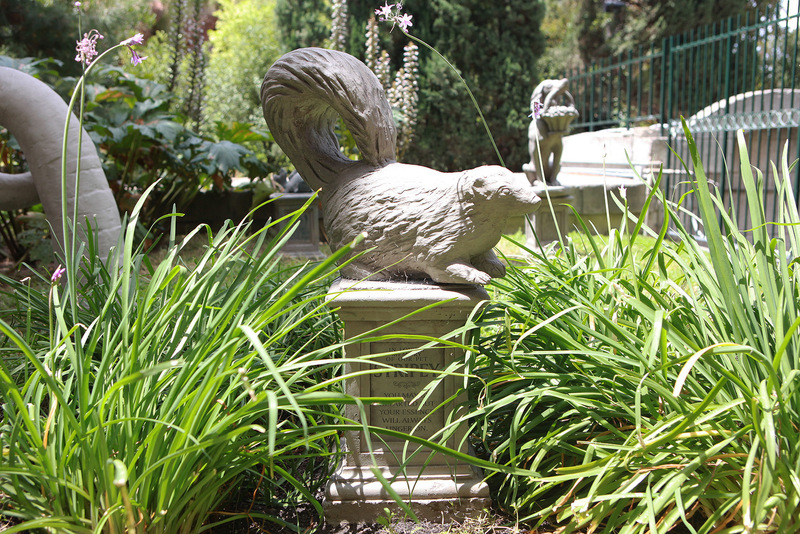 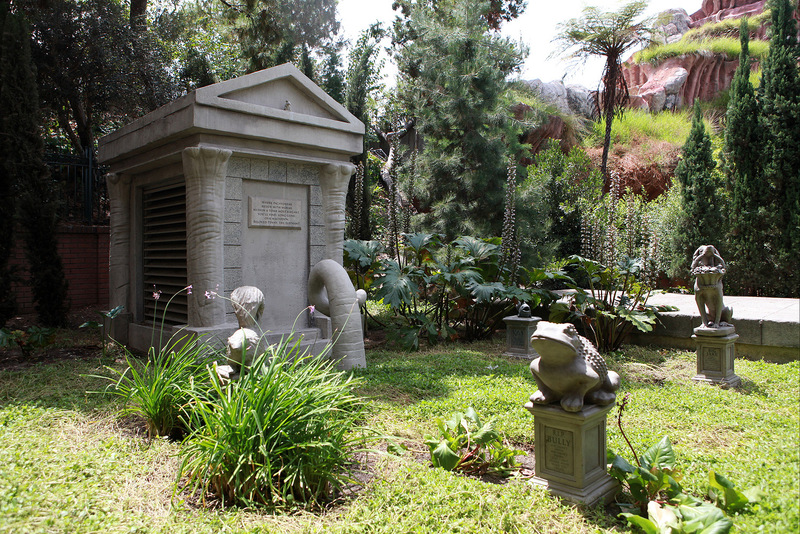 And just for fun, here’s a rare look at the Pet Cemetery at the Haunted Mansion. 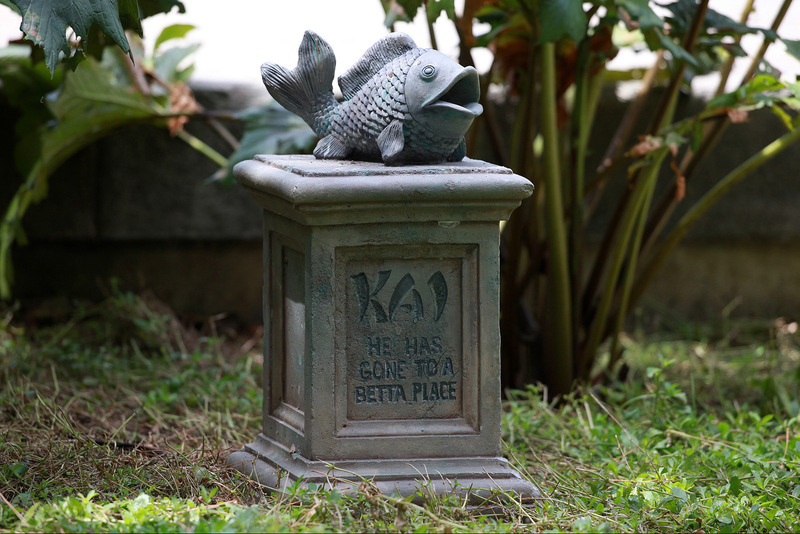 It’s not available for the gazes of the usual guest, so do enjoy. 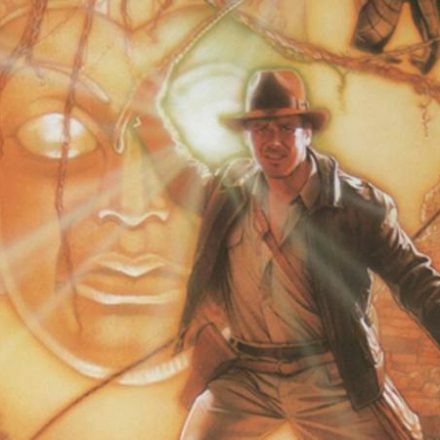 And that’ll do it for this update. 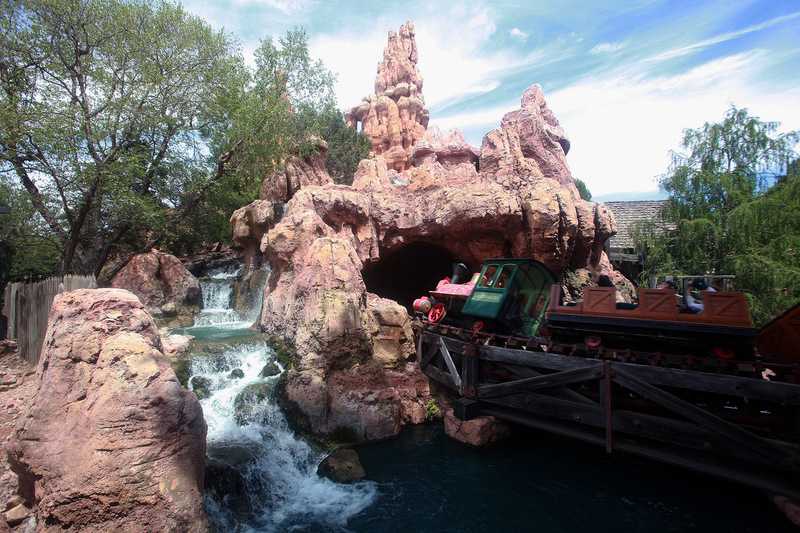 We’ll see you in the park! 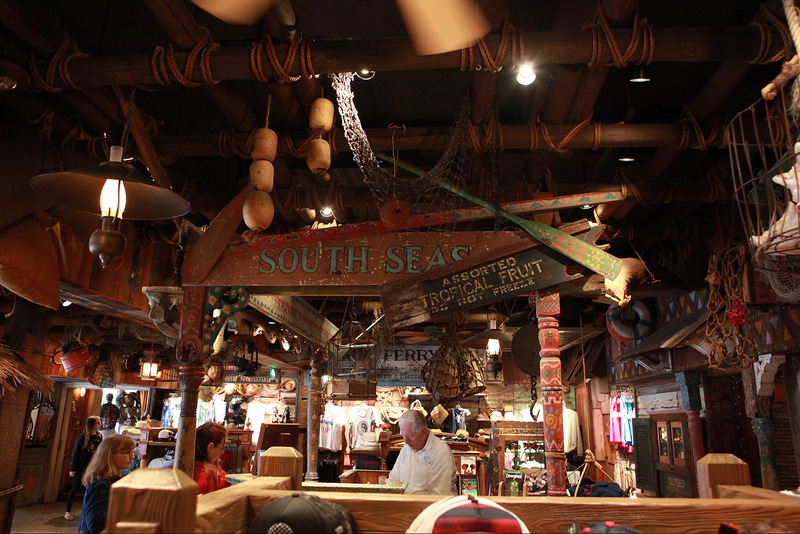 Don’t forget to like us on Facebook, follow us on Instagram and Twitter!